My partner Dave often laughs with anticipation in our kitchen as he unpacks grass-fed short ribs and pastured chickens from the grocery cooler and reassures me that my culinary values trump his budgetary ones. But Dave and I are not the norm. For many North Americans, food is a stress-inducing, hot-button issue. People fret about how their choices impact the environment, why their grocery bills are so high, whether they should stop eating certain foods for their health or the good of the planet. Many of us have ditched preparing supper, turning to fast food, take-out, factory-made meals, chemical-laden imported food. It’s easy to shut out all the conflicting advice and give up on caring, especially if you don’t know how to cook, or feel insecure because you have to follow a recipe instead of winging it like “real” chefs do on the Food Network. How can we feel more in control? How can our food be good for our bodies and health as well as for the planet and our pocketbooks? It sounds like a distinctly First World problem, to debate the ethics, expediency and economics of eating when so many on the globe are going hungry, but the underlying issues—and results—affect everyone. I have dedicated much of my professional and domestic life to this question, which is now on the minds of so many Albertans: How can individuals become more responsible, more relaxed, better-fed cooks and consumers? First, we can all decide that food matters more. Prioritize food over other expenses—Dave and I routinely spend a larger percentage of our money on the grocery bill than on indulgences such as techie toys or gasoline for the Jeep. If you’re not confident in the kitchen, make a commitment to invest in your long-term well-being—financial, global and personal—by learning to be a better cook. If you know how to chop an onion efficiently, you’ll be less intimidated and trim hours off your kitchen time. There are many venues for all kinds of cooking classes; at the very least, learn to braise. This is many chefs’ perennial favourite cooking method. It’s ideal for less expensive, slow-cooked meats which need little attention while cooking and are even yummier as leftovers and in secondary dishes. Invest in an enamelled cast iron pot or a crock-pot for slow cooking, and buy decent knives. If time is an issue, simplify your expectations of what makes a meal: Poached eggs on wilted chard takes 10 minutes to prepare. First, decide that food matters more. You’ll be investing in your long-term well-being. It helps to cook with people you love. I’m a descendant of farmers, and my mom, an avid gardener, taught me to cook as a child. As a Calgary-based chef, writer and educator, I fed my sons, friends, colleagues and clients, and I taught Calgarians of all ages, including my sons, how to cook. Dave and I moved to my family’s land in Saskatchewan to write five years ago; he makes breakfast daily, lunch often and salad for dinner while I make the main course. As for the ingredients themselves, buying sustainably raised local food is a sensible long-term plan anchored in a sense of personal and global accountability. And eating locally is not limited exclusively to the well-heeled. Find a farmer you can trust—food is too intimate and too important to be left in the hands of strangers or corporations. If you don’t know any farmers, look in Slow Food Calgary’s The Alberta Snail Trail, an annual guide to good, fair local farmers. John Mills is on the list. On his 20-acre Eagle Creek Farms, halfway between Calgary and Edmonton, Mills and his family raise produce that will be certified organic by 2016. They sell at the Hillhurst Sunnyside farmers market in Calgary and through a Community Supported Agriculture (CSA) plan, where members prepay for a share of the year’s crop. Mills’s ethos revolves around local eating. “It’s that one word: sustainability,” he says. “We are using too many resources in relying on other countries to produce and deliver food to us.” He explains that imported food may seem cheaper now, but as petrochemicals start costing more, the price of food that travels long distances to us will cost more too. In other words, buy good ingredients. I’m not so different from my late grandmother, Sarah Hofer, in whose rural Saskatchewan home I now live. My food sourcing starts right outside my door, with herbs and vegetables I can grow. Whatever my container garden cannot produce, I obtain from a local CSA. There is nothing sustainable about buying organic fruits or wines grown halfway around the world, so I look for Western Canadian fruits and wines. As Mills says, “It seems silly to bring apples from New Zealand when we have BC apples.” I don’t expect myself, or anyone else, to give up all indulgences, however. I am unwilling to forgo chocolate, coffee, citrus, vanilla or olives, which do not grow in our rigorous prairie climate. But I choose sustainably raised fair trade coffee beans that pay a reasonable price to farmers, and in the case of chocolate, I avoid any harvested by child labour. 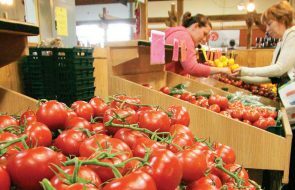 Find a local farmer you trust and buy a membership in a Community Supported Agriculture (CSA) venture. For the sake of energy, resources and cash, we all need to get over the idea that meat is the gold standard for protein. Pulses such as lentils, chickpeas and Great Northern beans are economical and delicious staple sources of protein in much of the world, but they’ve been stigmatized in North America as “poverty” food. Ironically, growers in the arid southern regions of Alberta and Saskatchewan are the globe’s leading pulse producers, but most of the crop is exported. When you do buy meat, buy directly from farmers who raise their animals without antibiotics or hormones and graze them on land free of chemical fertilizers or sprays to produce nutrient-dense food. Fruits and vegetables can be washed to remove surface sprays, but antibiotics and hormones are systemic and can’t be eliminated. Opt for whole birds and cuts on the bone so you can make stock for soups, risotto and all the secondary dishes that make the most of any animal. Food sourcing can start right outside your door, with herbs and vegetables. 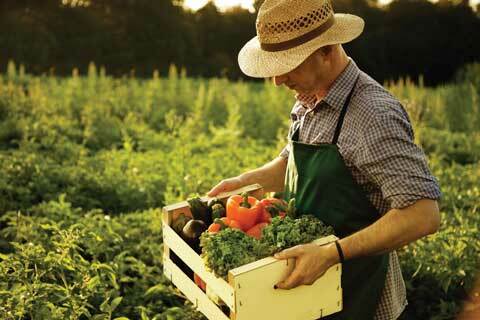 Whatever your garden or balcony cannot produce, obtain from a local CSA. Small mixed farms close to home are best. Heritage seeds and plants that don’t travel well but taste better are likely to be grown by farmers without a vested interest in long-distance shipping. So are fragile foods that ripen slowly and don’t keep more than a few days at their peak. I visit farmers markets for cheeses, but I buy my vegetables, poultry and meat direct from two nearby farms. “It does cost more to eat local food even if you choose local foods grown with chemicals,” he says. “Even the larger Albertan produce farms might be only 15 or 20 acres, as opposed to California’s, which are 500 to 1,000 acres. 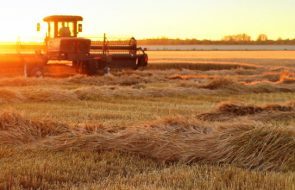 When you can grow a bazillion times more [than Albertans can], you can find economic efficiency in equipment, packing, shipping and delivery.” Alberta’s small farmers mostly raise a multitude of crops and animals, which, while environmentally important, is not as cost-efficient as farms dedicated to producing a single crop. On top of that, our cold northern weather—which produces sweet, crisp root vegetables—necessitates building costly barns to shelter our animals. And there’s labour. Eat with people you love. Honouring the importance of food enhances your family’s quality of life. “The biggest expense on any farm is labour,” Mills says. “If I broke my leg, I’d have no income if I didn’t invest in staff, weeding and harvesting machines and washing equipment.” His own labour force is 93 per cent Canadian, made up of high school and university students, local moms and summer interns, in direct contrast to the largely migrant force of foreign workers that labour for rock-bottom wages in most US market gardens. That registers: I don’t want to support large corporations who employ stoop labour at slave wages in inhumane conditions any more than I want to support chocolatiers who use children to harvest their cacao beans. 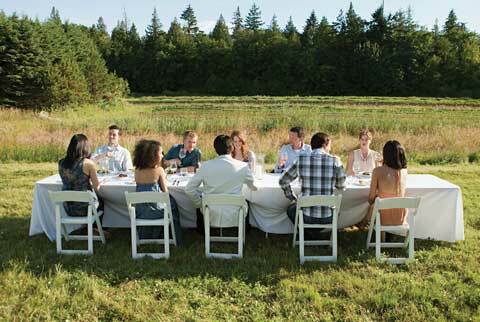 A local food system encompasses not only a region’s ability to grow food, but also supply and delivery chains, the infrastructure that results in connections between growers and consumers, restaurants and chefs. For direct-sales farmers such as Kamphuis, with his network of delivery stops throughout the province, and Mills and Grueneberg, who have opted for a CSA structure and farmers market stalls, the chain is as short as possible, with only one link: the farmer. “When you buy from me, your money stays within the community and the province,” Mills says. 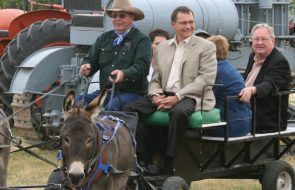 “You’re paying for me to stay on my farm as a full-time farmer and not get a second, off-farm job to subsidize your food production,” Grueneberg says bluntly. “We have no other income. Our entire salary and living is covered by what we raise.” Fewer folks now live on farms than ever before. Who will feed us if we all move into town? Commit to becoming a better cook. At the very least, learn to braise—ideal for less-expensive meats, which need little attention while cooking. “Find out if you can trust the person to start with,” Kamphuis says. “You should be able to look a farmer in the eye and ask questions.” He’s fond of telling clients how the Angus-cross cattle raised for Country Lanes are fed, attributing their tender meat to their nutrition. He also sells certified-organic salmon raised in low-density pens, which reduces disease and causes fewer production problems. As advice goes, it sounds eerily like my grandmother’s. “Nothing fancy,” she’d say as she set down platters of homegrown and home-cooked food. My grandmother lived to a hale 92 on a prairie locavore’s diet, long before that concept existed. Her simple approach of honouring the primal importance of food and putting the welfare of the land first had a lot to do with the quality of her life. The bottom line is the scale: Most of us eat too much too often. Eat less: less meat, less food in general. Eat more: more slowly, more vegetables, more animal fats. Eat with your loved ones and with gratitude. Thank your farmer. Nourishing ourselves and our world can start simple. Dee Hobsbawn-Smith is a poet, short-fiction writer and author of Foodshed: An Edible Alberta Alphabet (Touchwood, 2012).